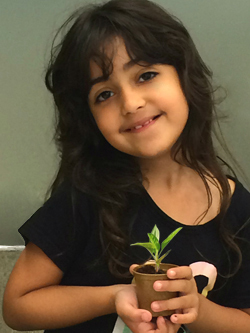 Community gardens are a great way to get children interested in gardening. However, highly densified regions may not have one in place near any given child’s residence. In such urban areas, it is becoming more common for schools to take on gardening projects for the benefit of their students. 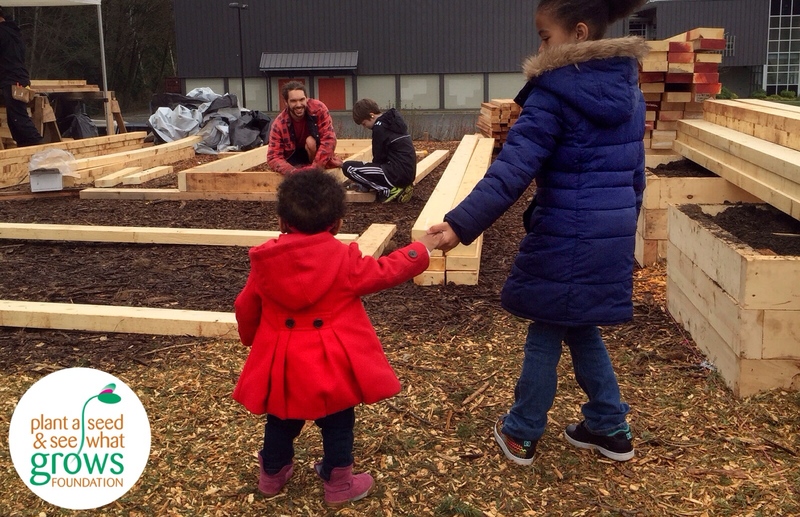 A school garden can teach kids about responsibility, teamwork, and immerse them in the concepts of organic gardening and sustainable communities. If you are a parent, teacher, or school administrator and have contemplated a gardening project for the grounds of your educational institution the following five tips on how to start a school garden project can help you get started. Getting such a project off the ground requires a team. Thankfully, you have a group of students, teachers, administrators, staff, and parents available to you. Identify the green-thumbs and interested parties in the lot and form an official committee. Consider individual resources and skill-sets so that you’ve got your bases covered for all aspects of the project, from fund raising to fence building and seed planting to local public relations. This committee will be instrumental in gaining school board approval and garnering community participation. 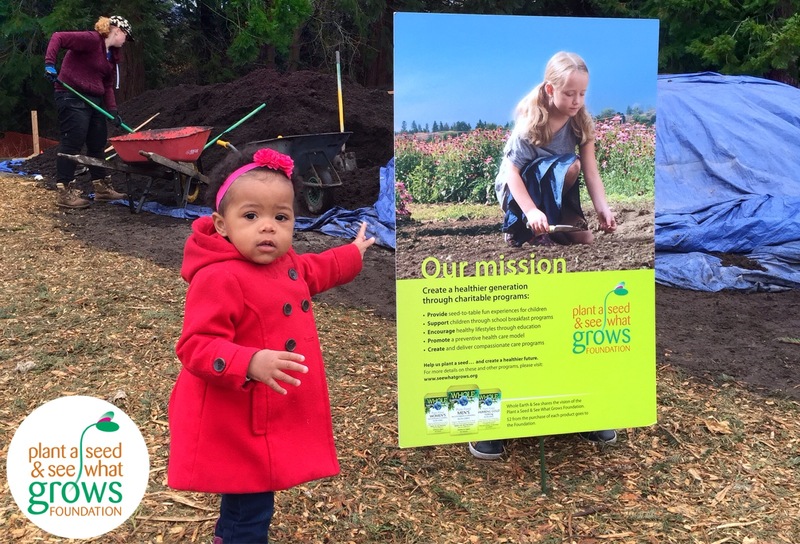 Plant a Seed & See What Grows Foundation sponsored the Sutherland Secondary Schoolyard Market Garden in North Vancouver, BC. Here’s Cynthia Bunbury, Sutherland Secondary School teacher with Emily Jubenvill, Program Manager Edible Garden Project (EGP). Cynthia worked with the staff at the EGP to develop an agreement with the North Vancouver School District. Once the committee is in place it is time to pick a plot of land on school grounds suitable for the garden. For starters, you will want to take your climate into consideration, noting how much exposure to sunlight the garden will need – aim for full sun in an under utilized yet highly visible area of the school grounds. Pick seeds for fruits and vegetables that respond well to community-type gardens in moderate climates and ensure adequate access to water and drainage systems and tool storage. 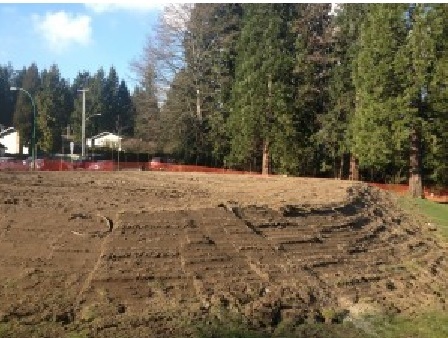 In addition, keep in mind that this garden is going up on school grounds, which means that it will need to be established in an area separate from where students partake in outdoor activities and sports. It won’t matter now well one tends to a school garden if softballs and soccer balls land on its plot on a daily basis. Once you have develop a site plan, begin the application process to your school district for project approval. Often school districts have a policy regarding school gardens that will guide you through the steps required to get your project approved. The Sutherland Secondary Schoolyard Market Garden was constructed in front of the school. Photo courtesy of Edible Garden Project. With the plot of land decided the vision of your school gardening project becomes more clear. At this point you can look at securing modest funding for the project, when the school’s internal budget does not have room for it. While it doesn’t cost much to get one running, why not make it the best that it can be? Simply setting up a Facebook profile or page on the school’s website that gives the local community and organizations the opportunity to donate to the effort can make a big difference. Otherwise traditional methods such as school bake sales can do the same. That being said, the necessity of funds can be negated by securing sponsorship from local businesses that can contribute materials to the endeavor. For example, your local home and gardening center could provide your school with the necessary soil and seeds needed to get started, receiving recognition as a sponsor in exchange. 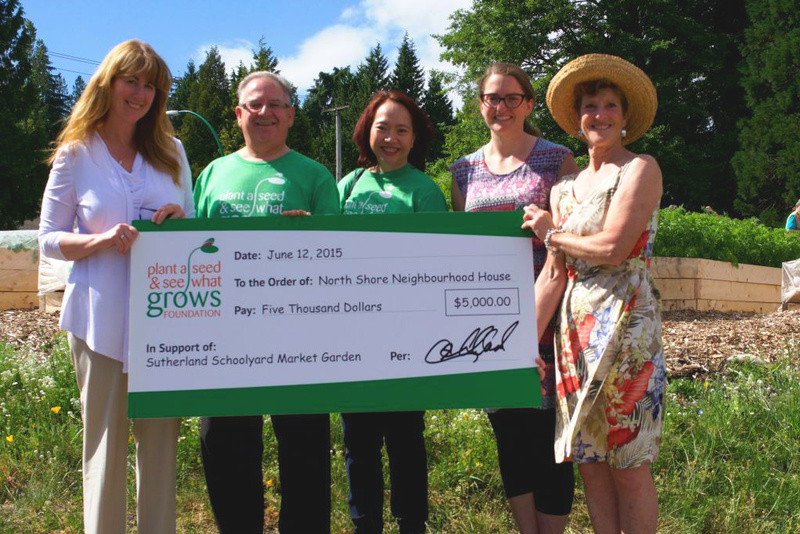 The Foundation presented a $5,000 cheque to the North Shore Neighbourhood House in support of the Sutherland Schoolyard Market Garden. (left to right): Lisa Hubbard, Executive Director, North Shore Neighbourhood House; Dennis Charland, Executive Director, Plant a Seed & See What Grows Foundation; Regina Nebrida, Advisor, Plant a Seed & See What Grows Foundation; Emily Jubenvill, Program Manager, Edible Garden Project; Cynthia Bunbury, Sutherland Secondary teacher. A school garden project should consider integrating a mix of produce that will “bear fruit” within the school year and those that will not be harvested for quite some time. This is useful not only for the diversity of the overall yield, but it encourages patience and long term investment from all parties involved, in particular that of the students. It’s a great experience for students to plant seeds in the early spring and harvest them before they leave for summer break, and such a thing is necessary to keep the interest of children at K to Grade 3 levels. However, students become even more involved and take on a stronger nurturing role when other items in the garden require long term care. Their role as budding organic gardeners becomes deeper rooted when they return through their summer breaks and the subsequent school year/s to help tend to the garden. Depending upon your climate, produce such as blueberries, avocados, and lemon trees make for great long haul school garden additions that can span relative generations of students. It should be made evident (for invested parties) that the knowledge and skills developed by students in a well thought-out school garden are directly related to the academics of their institution. Curriculum sciences of biology and chemistry are at play, as is math, social studies, and the arts. Your committee can campaign for the school’s governing bodies to apply class credit to some of the time spent tending to the garden. There is nary a better way to teach students than actual hands-on experience delivered in a manner that is near and dear to their hearts. Students have participated in building raised beds, planting a pollinator garden and are contributing to the design of an outdoor classroom. The Foundation’s community partner, EGP is training teachers on how to use the space, doing presentations in classrooms and facilitating class sessions out in the garden. Learn more about about the Plant A Seed & See What Grows Foundation and our own school and community gardens programs to see if we can help you get one started in your locale, or if you are interested in getting involved with one of the foundation’s future efforts. Please take our pledge and be a Friend of the Foundation.